Your national dairy checkoff supports fellow dairy industry allies and funds several educational and program-specific websites. Find out what's new in dairy promotion and the dairy industry by visiting these sites. Your state department of agriculture offers information on dairy’s ranking, percent of family-owned dairy farms, the industry’s economic impact and more. Learn how your 15-cent dairy checkoff investment works through dairy promotion, marketing and research programs, find contact information for your local promotion organization. 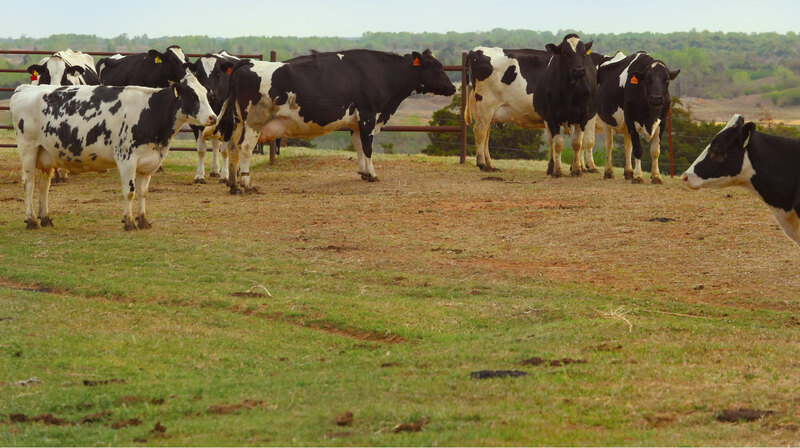 Here, consumers can learn how modern farm families care for their animals, land and water to produce safe, wholesome milk. The site features a virtual farm tour, a searchable “dairy dictionary” and the ability to submit a question to a real dairy producer. Learn about National Dairy Council’s partnership with the NFL® and the USDA to combat childhood obesity by encouraging kids to eat healthy – including low-fat and fat-free dairy products – and get 60 minutes of physical activity every day. Collective industry resources aligned to offer consumers nutritious dairy products and ingredients, and promote the health of people, communities, the planet and the industry. The latest nutrition research and other important information about dairy’s role in a healthy diet. The official site for the U.S. Dairy Export Council®, funded in part by the dairy checkoff program.